The abortion lobby keeps trying to pass legislation to correct what they see as "false advertising" by pregnancy help centers. They claim that the full weight of law needs to go into making it clear that CPCs do not do abortions, because women wanting abortions might go there by accident and be really annoyed. 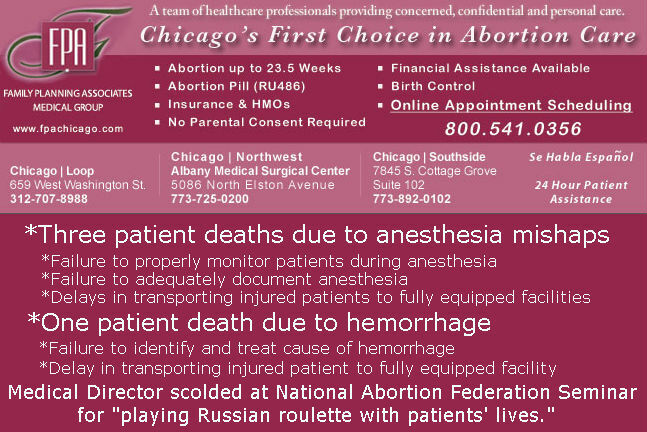 Any facility that advertises as an abortion facility must provide complete and honest information as to the licensing status of the facility and staff. Physician's offices must clearly state that they are not licensed clinics. If a facility is not licensed by the state as a medical facility, this must be clearly stated. If anesthesia is administered, the qualifications of those administering anesthesia must be posted. The qualifications (or lack thereof) of staff overseeing recovery must be posted. The qualifications (or lack thereof) of any staff providing counseling must be posted. Any negative findings in the five most recent inspections must be posted in layman's terms in a highly visible area of the waiting room. Copies of the five most recent inspection reports must be made available to prospective patients upon request. If the facility is neither licensed nor inspected, a notice must be prominently posted to that effect. Notice of any disciplinary actions currently in force against any licensed staff must be clearly and prominently posted in layman's terms. Full copies of the relevant documents must be made available to patients upon request. If a facility advertises that they provide counseling, they must also provide a breakdown as to what percent of their patients choose abortion, adoption, and parenting. 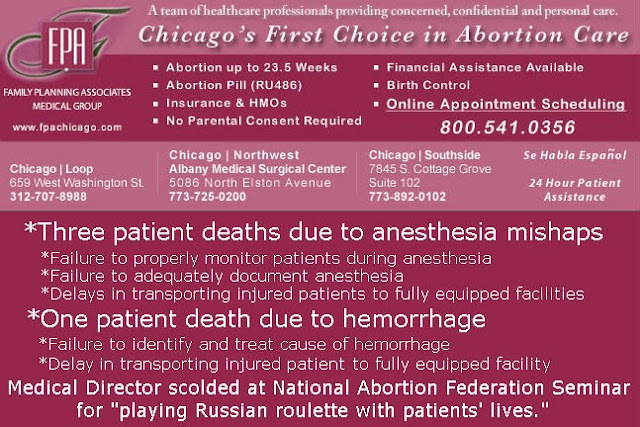 Information about patient deaths, along with deficiencies that led to the deaths, must be prominently posted, along with any other information a reasonable patient would want to know before making a decision about trusting her life to that facility. Of course, this will be drafted in legalese, but you get the idea. Agree to the addendum and then watch the prolifers have a field day demanding that the law be enforced against specific facilities. Fight the addendum and then watch the prolifers have a field day holding hearings showing why the addendum is necessary. They'd drop the whole attack on CPCs like Adrian Monk would drop a milk-covered snake. I think it's a win-win for us and for the women of America. Why aren't we doing it?